We found 9 trips results for "LaugavegurIcelandSlovakia2012 "
Third day of our Laugavegur hike. From Álftavatn lake to Botnar hut. Rainy, very rainy day :) But we enjoyed a river wade. The most significant spot of hike was Kaldaklofskvísl river with the waterfall and the bridge over. I was not able to use my DSLR, most of pictures are made by Drift Innovation HD170 camera.Check out my "Laugavegur trail" panoramatic photographs on http://www.panoramio.com/user/535318/tags/Iceland2012. Check out my Iceland 2012 playlist https://www.youtube.com/playlist?list=PLZiVMs0k1TBzCqZkefOHmcL8hdBw9iNXB. Second day of our Laugavegur hike. From Hrafntinnusker hut to lake Álftavatn. The weather little bit changed to a foggy wet. Anyhow, great day today according the next day :) The most significant spot was an oasis of Grashagakvisi river & Alftavatn lake.Check out my "Laugavegur trail" panoramatic photographs on http://www.panoramio.com/user/535318/tags/Iceland2012. Check out my Iceland 2012 playlist https://www.youtube.com/playlist?list=PLZiVMs0k1TBzCqZkefOHmcL8hdBw9iNXB. Fourth and unfortunatelly the last day of the Laugavegur hike. We realized not to continue to Skogar due to rainy, windy and foggy weather conditions on the way to Skogar. Check out my "Laugavegur trail" panoramatic photographs on http://www.panoramio.com/user/535318/tags/Iceland2012. Check out my Iceland 2012 playlist https://www.youtube.com/playlist?list=PLZiVMs0k1TBzCqZkefOHmcL8hdBw9iNXB. Definitely the best geocache hunt I have ever made. We waded & crossed the Krossá river several times, enjoyed the bridge ending in the middle of the river, and then completely wet because of continuous rain finally found the cache http://coord.info/GC1EDPQ. Thanks ! Done with Alex (asrmirnov), Dusan (DuskoB) and Milos (MilosPrezident).Check out the video I made from this great trip ! https://www.youtube.com/watch?v=GoU25dij4TI. Check out my Iceland 2012 playlist https://www.youtube.com/playlist?list=PLZiVMs0k1TBzCqZkefOHmcL8hdBw9iNXB. Short & quick (just because of Alex skills !) hunt of this climb cache (yes, once again I was really impressed how quick and easily Alex did this route!). Thanks! 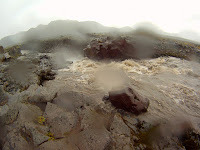 http://coord.info/GC1V8XFCheck out my "Laugavegur trail" panoramatic photographs on http://www.panoramio.com/user/535318/tags/Iceland2012.Check out my Iceland 2012 playlist https://www.youtube.com/playlist?list=PLZiVMs0k1TBzCqZkefOHmcL8hdBw9iNXB. Our bye bye to Laugavegur hike trail - a bus offroad river crossing by Reykjavik Excursions.